From one of the 20th century's great writers comes one of the finest autobiographies of our time. 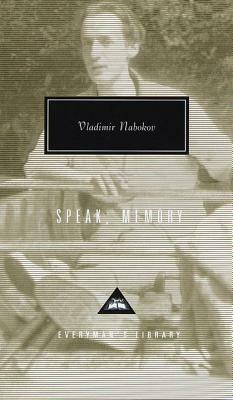 Speak, Memory was first published by Vladimir Nabokov in 1951 as Conclusive Evidence and then assiduously revised and republished in 1966. The Everyman's Library edition includes, for the first time, the previously unpublished "Chapter 16"–the most significant unpublished piece of writing by the master, newly released by the Nabokov estate–which provided an extraordinary insight into Speak, Memory. Nabokov's memoir is a moving account of a loving, civilized family, of adolescent awakenings, flight from Bolshevik terror, education in England, and émigré life in Paris and Berlin. The Nabokovs were eccentric, liberal aristocrats, who lived a life immersed in politics and literature on splendid country estates until their world was swept away by the Russian revolution when the author was eighteen years old. Speak, Memory vividly evokes a vanished past in the inimitable prose of Nabokov at his best.